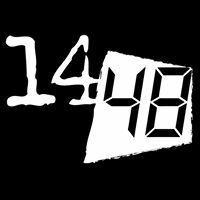 The 1448 Projects is very pleased to bring 1448: The World’s Quickest Theater Festival (TWQTF), back to ACT Theatre for two weekends in January as a partner of ACTLab. 14/48: The World’s Quickest Theater Festival takes over the Falls Theatre January 6, 7, 13, and 14, 2017 with performances each day at 8pm and 10:30pm. 1448 The World’s Quickest Theater Festival operates under a simple premise: gather some of Seattle’s most daring theater artists and put them in a pressure cooker. But the challenge is far from simple, and that is 14 plays written, cast, directed, rehearsed, scored, designed, and premiered in 48 hours. Each play is ten minutes long, seven different plays are presented each weekend night ( Friday and Saturday). The next weekend, they start the whole process over again. * Since 1997, 14/48: TWQTF has premiered over 800 new works, many of which have gone on to repeat productions, and forged lasting relationships throughout the artistic community. “I got involved with 1448 at the first London festival a couple of years back and got addicted immediately – it’s a distillation of everything I love about theatre. The speed and deliberate chaos make it imperative to be positive and enthusiastic, and the whole process encourages risk and big choices and pulls you outside of the work one usually does. I’m coming to Seattle in part because I love 1448 so much I try and do all of them, partly because 14/48 has been brilliant for me creating networks and new artistic opportunities and making me better at what I do – and I want to keep on expanding those connections and inspirations, and partly because I’m hoping to be able to start another 14/48 in the next couple of years, and I want to see how it works at the source. And also because I know I will have the BEST TIME EVER” said Katherine Wooton, an actor is this year’s Festival, who arrives in town on Jan. 4th from the U.K. Along with Boeing, Starbucks, Microsoft and Amazon, 1448 is one of Seattle’s start-up successes, which like those other Seattle start-ups, is in the process of becoming an international phenomenon. Started in 1997, by One World Theatre, there are now annual 14/48 Festivals in Austin, Texas and Wolverhampton, England. While in Leicester, England there are several 14/48 Festivals per year. This year’s Festival will feature a group of 14/48 veterans from Leicester.